In 1985, Don Musilli founded a company to sell high end HEPA air filtration systems to the residential market. HEPA filtration at that time was somewhat limited to the micro-chip manufacturing industry, asbestos abatement companies, medical operations and some industrial applications. The residential market was using standard pleated, card board box framed general duty filtration media filters or electronic air cleaners. These air filters were located either in the main return air grills or at the point where all the return air entered the main air handler ( HVAC unit ) and were designed primarily to remove very large airborne particles and to keep the cooling coils and fan blades clean.They did little to remove the smaller, respirable sized particulate that could create health issues for many homeowners. Whether we are indoors or outside, we are breathing air that contains various sizes of particulate. The larger particles. those that you can see with the naked eye, are usually 20 microns in size of larger. ( for comparison, your hair is 100 microns in diameter ). These larger particles are aspirated into our lungs and the majority of them are exhaled out. The smaller, sub-micron particles however, ( those less than 20 microns in size ) tend to stay logged in the lung linings and mucus membranes. These smaller particles may represent a wide range of organic and inorganic materials including pollen, pet dander, ragweed, bacteria, viruses and industrial pollution. For those individuals that suffer from allergies many of these airborne particulate are the primary cause of their respiratory dysfunctions. Pure Air Systems pioneered the use of HEPA filtration systems with their first model 600H unit.that included a true, scanned HEPA filter rated at 99.99% removal of all particles 0.3 microns and larger, a wire framed ring panel prefilter ( to keep the HEPA clean ) and a true carbon filter to remove odors and gases. These systems were designed to attach to the return air side of a ducted HVAC system using the partial by-pass concept. This unique concept allowed homeowners, for the first time, to use a true HEPA filter system on a residential HVAC unit. These HEPA systems cleane all the air in the house up to 24 times a day and remove a very large percentage of the sub-micron, airborne particulate. Thirty Four years later, PAS has added 6 more HEPA, fan powered, air filtration systems to its stable and over 10,000 of these units have been installed in homes and offices across the U.S. and Canada. For more information on the complete line of HEPA and Carbon based air filtration systems please go to our website at: http://pureairsystems.com or call us on our toll-free number at: 800-869-8025. It is often said that people don’t want to hear you complain about issues and things that bother you on a regular basis. With the ability to express your every thought using social media, your issues are now broadcast around the world. Yes, everyone wants to vent about something and everyone hopes someone else will jump on their complaint band wagon. However, when we do have a legitimate issue, especially one pertaining to our health, we do want someone to take our complaint seriously and not reject it as another “boy who cried wolf” emotion. For 31 years Pure Air Systems has been selling their HEPA based air filtration systems to a wide range of customers including medical, institutional, industrial and residential. A large number of residential customers suffer from allergies or respiratory dysfunctions brought on by ingesting sub-micron airborne allergens and various types of particulate matter. Because the airborne particles are too small to see with the naked eye, when someone in the house or office complained about their severe reactions to the environment most people disregarded their complaints and paid little attention. But for allergy sufferers and those individuals who really have issues with airborne molds and other building generated airborne contaminants these issues are real and can cause significant long-term health issues. It is ironic the the particles that tend to be trapped in the lung linings and mucus membranes are too small to see yet cause much more damage than the larger, visible airborne particulate that are aspirated in then out again. The ability for the commercial grade, scanned HEPA filters, rated at 99.99% efficiency, to remove over 97% of these small, sub-micron particles is the reason people continue to purchase the PAS units over other types of filtration devices or systems. With over 31 years of experience in this arena, Pure Air Systems has become a major supplier of high-end, high performance, fan powered HEPA filtration systems. For more information on the complete line of HEPA and Carbon based systems please go to our website at: https://www.pureairsystems.com or call us on our toll-free number at: 800-869-8025. Of all the roles played by Sylvester Salon, Rambo is probably my favorite. It is a mixture of his Rocky character…slow spoken with deep honesty in his eyes, and his Expendables character where killing and maiming are often done with some weird humor. And of course, he faces numerous bad guys and barely gets scratched. Or if he does he has amazing healing powers. Some companies have this same character trait where they keep the best parts of their operations as they move forward with new technologies and marketing concepts. In this way the customers still feel like they are dealing with the same people even though the company logo, location and product design are changing. Pure Air Systems started its operation in 1985 with the promise that they would produce the highest quality products and offer superior performance and exceptional customer service. Fast forward 31 years later and Pure Air Systems still makes the same great HEPA based, fan powered air filtration systems in North America and have added a few new products along the way. The PAS line of HEPA and Carbon filters use the newer variable speed ECM motors that can be digitally controlled producing air volumes from 50 CFM to 2,000 CFM in one percent increments if necessary. These systems can even be designed to work in series with ducted HVAC systems. These units are used in almost every application with the reduction/removal of airborne contaminants at sizes below 0.3 microns in size. In fact the newer scanned, certified HEPA filters can remove 99.99% of all particles 0.3 microns and larger, consistently. PAS has units in the commercial, medical, agricultural, industrial, institutional, military and residential markets. Some of them are even operating on ocean going vessels. Used as stand-alone or connected to your heating/cooling/ventilation systems, the HEPA systems from PAS are the most effective method for airborne contaminant control. For more information on the complete product line please go to our website at: https://www.pureairsystems.com or call us on our t0ll-free number at: 800-869-8025. The years from 2006 through 2012 are now referred to as the last recession. I don’t agree. The major unraveling of our economy began when the major multi-national corporations began to move their engineering, R& D and assembly and manufacturing operations off-shore. They found the cost savings were extraordinary as they could retire many of their highly paid senior executives and engineers and the cost of labor overseas was much lower than the US based operations. In addition, the environmental laws and lower health care costs significantly added to the bottom line. The second part of the economic collapse began when greed took over the housing market. Well greed and the lack of any controls over who could borrow money and how much credit was extended with little thought for paying it back. This was the U.S. Banking industry at its lowest point of operational functionality. Combine the unrealistic expectations that housing prices would climb 5% a month forever and the continued movement of high paying jobs off-shore and you had the beginning of the major transition that changed our economic landscape. Pure Air Systems, a small manufacturing company in Indianapolis, makes some of the most effective, high performance HEPA based, fan powered air filtration systems on the market. Much of their growth came from the residential market while slowly building upon their commercial product line. The demise of the housing market hit the company very hard, but because they had a large number of residential units already in the field ( PAS started in 1985) the replacement filter part of their operation continued to grow. With the addition of two new systems designed specifically for the commercial, institutional, medical and industrial markets PAS was able to supplement their residential sales market with these higher priced systems. In addition, the commercial systems required more frequent changes of their three filters so the revenue stream from the “annuity” side of the business allowed for continued operations of the company while the economy went through its transition. In 2014 Pure Air Systems is stronger and profits are coming back. Also, the addition of a new “FDA Medically Approved” portable will significantly add to the bottom line when this system goes into production in early 2015. Many large and small companies, in both retail and manufacturing, left us forever during the transition. Now that the new economy is forming more new companies will come onto the scene, hopefully with some understanding of how even small changes can affect their bottom line. For more information on PAS please go to our website at: http://www.pureairsystems.com or follow us on Twitter @ pureairsystems. Of course you can always call us on our toll-free number at: 800-869-8025. Take a Breath…Take a Deep Breath Now. As humans we take a lot of things for granite. Rotation of the earth which produces gravity, land to walk on and water to swim in, and the ever present source of life, the Sun. Being able to breathe the atmosphere in our environment is also something we take for granite. Interestingly most of us know little about the air we breathe. For example, the atmosphere we exist in is comprised primarily of oxygen and nitrogen. Oxygen comprises 21% while Nitrogen comprises 79%..( actually a little less than 79% as there are some trace elements in the atmosphere as well). In reality we are actually Nitrogen breathers although at the surface pressure of 1 atmosphere our bodies don’t absorb the Nitrogen, but they do take in the Oxygen. When you have a cold or some form of upper respiratory infection you often find it is difficult to breathe. In actuality the lungs are probably full of mucus and the surface capacity of the lungs to take in Oxygen are significantly reduced, therefore requiring longer and deeper breaths just to get the amount of Oxygen your body requires. This same problem exists when you have lung damage due to smoking or breathing large quantities of airborne particulate in your work place over long periods of time. Ingestion of small, sub-micron sized particles create challenges for the lungs as these particulate tend to stay logged in the lung linings and mucus membranes. People who smoke have difficulty in running or walking long distances as they get “short of breath” very quickly. Small concentrations of harmful, respirable sub-micron sized particles, inhaled over a long periods of time can also significantly impair the lungs ability to take in Oxygen. Individuals who work in environments where dust is generated on a continuous basis are more susceptible to lung damage than those working in an office type environment. Even when technicians where masks or respirators, these individuals are more at risk than most. In 1985, Pure Air Systems was founded to provide a series of commercial grade HEPA and Carbon based systems for the residential, commercial, institutional, industrial and medical markets. Today, the PAS line of HEPA, fan powered systems are used in a wide variety of high performance applications around the world. Removal and reduction of small particles are the key benefit of using HEPA filters. Those used by PAS are initially rated at 99.99% removal of particles 0.3 microns or smaller and approach 98% removal of particles 0.12 microns and larger. Over the years many home owners have purchased the HEPA units from PAS and found the number of colds, upper respiratory infections, allergies and even headaches were significantly reduced. The same is true of those companies and medical operations that used the PAS HEPA systems. Product through-put, reduction in transfer of airborne pathogens and allergens, increase in product quality and reduction in loss work time for employees were all positively affected when using the HEPA systems on a regular basis. For more information on the complete HEPA and Carbon based product line please go to our website at: http://pureairsystems.com or you can follow us on Twitter @pureairsystems or like us on our Facebook page. Of course you can always call us on our toll-free number at: 800-869-8025. There is no lack of comment, opinion and overblown diatribe regarding the upcoming potential “fiscal cliff.” The politicos love to be able to scare people by predicting economic catastrophe if certain members of either party don’t come to a consensus on how to resolve this problem. The interesting thing is that even if the parties don’t agree something will happen without their involvement or decision. And, chances are that all this partisan posturing will be replaced with a compromise that will give credit to both parties while making the right decision for the American public. Disaster averted! In the field of air filtration there are often two distinct approaches to resolving the same problem. And, like the political parties, one is often more correct than the other. More over, the right decision will have a very positive effect over a very long period of time and for a large number of individuals. The removal of airborne particles from indoor air environments has always employed some type of mechanical filter. Cloth medias, fiberglass filters, cotton fiber filters and the man made medias ( including HEPA ) have been around for over 70 years. Mechanical filters are simple in nature. They capture the airborne particles that are drawn through them ( usually by a fan or air moving device) and the larger particles get caught in the media fibers while some of the tiny particles pass through. Over time as the filter media loads up, or gets dirtier, even most of the smaller particles are caught in the filter. In the case of HEPA filters, sub-micron particles are captured at efficiencies approaching 99.99% at less than 0.3 microns in size. One other type of filtration device was also developed and used in the early 50’s and a variation of that technology is still use today. The electronic air cleaner was a simple device that used positive/negative charges to attract particles as they passed through a charged wire grid. The earlier versions were not very effective except for capturing very large particles. The newer versions are slightly better but this technology is really not appropriate for any applications except general duty residential. In the 70’s another style of air filtration device hit the market. However, these devices were referred to as air purifiers and not air filters. These consisted of ozone generators and ionizers. They did not use any type of media and were touted as being able to purify the air in your home or office and no filters needed to be changed. Simply wipe the attraction plates or replace a small component part once in a while and you had all the clean air you could ask for. Unless you really wanted it to actually work at removing airborne particles. Air purifiers are simply not capable of eliminating the harmful, sub-micron, airborne particles and allergens in the air. This is the reason that hospitals, laboratories, chip manufacturers, optics companies, the CDC, etc. etc. do not use air purifiers for any application. They rely only on mechanical filters such as HEPA filters. But, the discussion continues to rage on and there are proponents on both sides of the equation. For more information on mechanical filter and HEPA air filtration systems please go to our website at: www.pureairsystems.com or follow us on Twitter @pureairsystems. You can always reach us at our toll-free number at: 800-869-8025. The acronym HEPA stands for “High Efficiency Particulate Absolute” filter. The word absolute means just that. 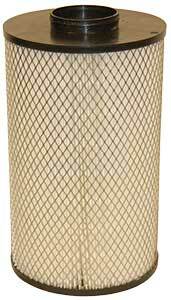 A HEPA filter by standards means it will capture, initially, 99.97% of all particles 0.3 microns in diameter or larger. This means if you had 10,000 particles in that size range and put them through the HEPA filter only 3 are allowed to pass through the media. There are scanned HEPA filters which have a minimum efficiency of 99.99% at 0.3 microns, ULPA filters with minimum efficiency of 99.9995% at 0.12 microns and SULPA filters with minimum efficiency of 99.99999% at 0.12 microns. In every case the overall efficiency of the filters is directly proportional to how the filter in sealed, or contained in the holding frame or air filtration device. There are a number of small, portable style HEPA filtration systems sold on the market today. The majority of them are designed for residential applications; specifically bedrooms and small living areas. These systems have very small fans and can only move about 50 to 200 CFM of filtered air and have HEPA filters that are not necessarily sealed tightly in their housings. Then there are fewer than 5 portable type HEPA units that are designed to be used in the commercial markets where optimum performance is required. When we get to the larger, stand-alone HEPA filtration systems, those that can move from 100 to 2,000 CFM of filtered air, there are only two companies in that arena. HEPA filters are expensive. They requires very special equipment to manufacture them and highly sophisticated, expensive test equipment to certify them and ensure they meet all the regulations and standards that allow them to be certified as HEPA filters. They are usually framed in aluminum or steel and have a gasket on one side to allow for compression sealing in their prospective housings. Unless the HEPA filter is completely sealed, air will by-pass around the filter and render the HEPA filter useless. Companies and individuals purchase HEPA filtration systems to perform a certain function; removal of harmful airborne sub-micron particulate. The airborne particles may be allergens, pathogens, dust and dirt particles or particles from a manufacturing operation. In almost every case, the performance of the equipment is tantamount to the price of the systems. Since the lack of performance is directly proportional to the overall efficiency of the specific operation, the inability of the HEPA systems to perform can cost hundreds of times more than the equipment itself. Pure Air Systems has been manufacturing commercial grade, certified HEPA based air filtration systems since 1985 and its systems are considered one of the premier units on the market today. The fact that PAS has been in operation for over 27 years is a testament to their ability to meet or exceed the expectations of their customers. The medical, commercial, institutional, environmental, military and industrial markets all look to PAS to help them solve their critical airborne particulate problems. Performance is their primary concern. For more information on the complete line of HEPA based air filtration systems from Pure Air Systems go to our website at: www.pureairsystems.com or follow us on Twitter @pureairsystems and like us on Facebook. Of course you can always call us at: 800-869-8025. Taking the Confusion Out of Air Filter Efficiency or What Do They Really Mean When They Say That? I will try to keep this simple and short so as not to add to some of the confusion over air filter efficiencies. First, I would like to point out that any company that sells an air filter that states an efficiency rating without basing it on a particle size is providing you with basically useless information. For example: an air filter that has a statement reading “this filter will remove up to 95% of all airborne contaminants in your home or office”, doesn’t really tell you anything. Since most of the respirable particles that actually are harmful are usually less than 2 microns in size, don’t you think it would be important to tell you what size particles they actually remove from the air? So, let’s look at this statement again. “95% of all airborne contaminants” sounds pretty good, doesn’t it? Our HEPA air filters remove 99.97% of all airborne contaminants at 0.3 microns and smaller. At first glance these two air filters look similar in capability. But the first air filter provides no particle size range or efficiency based on particle size. Recently the American Society of Heating Refrigeration and Air Conditioning Engineers (ASHRAE) and the air filter industry have come up with a standardized rating system, based on the European concept, of a MERV rating for each type of air filter. This numbering system makes it easier to evaluate and compare mechanical air filters and will hopefully eliminate some of the confusion regarding the overall effectiveness of any type of a mechanical air filter on removing airborne particulates, especially those that are less than 2 microns in size. Bbelow you will see the new MERV ratings. This MERV rating chart has the MERV ratings, 1-16 on the left hand column and then there are five other columns showing the average efficiency in microns, average arrestance and the final resistance as measured in inches of water. Most companies that make air filters are now using this MERV rating, so you will see a MERV number on the air filter and perhaps some rated efficiency. Some of the man-made synthetic media like that used in the 3M Filtrete air filters may be rated MERV 15. However, they hold very little dust and load up quickly and have a relatively high-pressure drop (static pressure) and can affect the performance of the heating / cooling system. (FEFF005 for RESPA-SD/SDX)Covers all uses that require up to MERV 16 rating. Recommended for uses where airborne contaminants place operator at risk, including contaminants such as Diesel Particulate Matter and Respirable Silica. We highly recommend this filter as it represents the best mix of high efficiency filtration, operator protection and economy. This is an important chart to keep for future reference in determining the best filter style and type for your specific application. Understand that the higher the MERV rating the greater the resistance or static pressure will be across the filter media. For most HVAC furnace filter applications a MERV 8 and lower since these filters will allow for lower resistance with good filtration of larger particles. Using the 3M type filtrete filter not recommended for most general duty residential heating/cooling systems. These filters load up very quickly and will actually reduce the HVAC fan performance requiring longer cycles to both heat and cool your home. Pure Air Systems has been manufacturing commercial grade HEPA and Carbon based air filtration systems since 1985. These units are designed to be used either attached to existing ducted HVAC systems or as stand-alone units. The ability to use a true HEPA filter system ( which would have a MERV rating of 18 if they rated them) in a residential application makes these unit unique in the filter market. For more information on the complete line of HEPA and Carbon based air filtration systems please go to our website at: www.pureairsystems.com or follow us on Twitter @pureairsystems and like us on Facebook. Of course you can always call us on our toll-free number at: 800-869-8025.